T25 staples feature a round crown design that secures wires without damaging them. The leading choice for low voltage wire applications, the T25 staple is an absolute boss when installing garage door openers, thermostat wire, doorbell wire, alarm systems, and much more. Also works great on computer, CAT5/CAT6. RG6/RG9, COAX and phone cables. 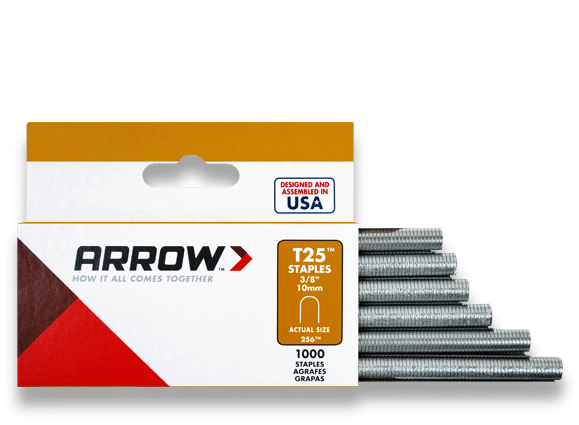 All Arrow T25 staples are made under strict quality controls at our Saddle Brook, NJ manufacturing plant.